There are three types of bees in the hive - QUEEN, WORKER AND THE DRONE. A colony of bee can contain up to 60,000 bees. The Drone is the only male bee all the other bees are female. Worker bees live for about 6 weeks. The Queen can live up to 5 years, she lays up to 2500 eggs a day. Drones have no stinger and do no work at all. Queen bee’s can sting multiple times, the workers only once then they die. Before winter or when food becomes scarce, workers force the drones out of the hive. Bee’s wings stroke incredibly fast, about 200 beats per second, this is what makes the buzzz. The average worker bee produces only about 1/12th teaspoon of honey in her lifetime. Bee’s fly at 15 miles per hour. It is the only insect that produces food eaten by man. The bee’s keep the hive at a constant temperature of 93 degrees year-round. Honey never spoils. Honey contains low moisture levels and is naturally acidic, making it difficult for spoiling bacteria to grow. There is also an enzyme found in the stomach of bees which breaks down in to chemicals that help stop the growth of bacteria and other organisms. Honey taste depends on the flowers used to make it. It can vary in color from dark to very light. All honey will at some time turn to sugar crystals. It depends on the type of flower the honey bee visited. Some stay liquid for a long time others crystallize with in a few weeks. It has not gone bad and it does not affect the quality of the honey. To turn back to a liquid, use gentle warming the jar in hot (not boiling water). Don’t store it in the refrigerator it will speed up the crystal formation. Our honey is from Lodi and the local area. 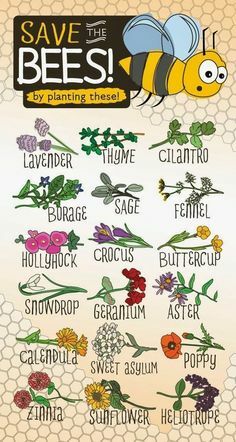 It varies in color and flavor depending on where the bee’s foraged. The area they cover is around two miles from where they are located. However they can go twice and three times this distance from the hive. We only lightly filter the honey so you will find pollen in it.